Opposition parties have denied media reports that they witnessed the ballot paper printing exercise last week saying the Zimbabwe Electoral Commission (ZEC) only allowed them to observe the printing process from a 20 metre distance. Briefing the media in the capital today, MDC Alliance Presidential candidate Nelson Chamisa’s Chief Election Agent, Jameson Timba revealed details of what transpired when they were invited by ZEC to witness the ballot paper printing process. “ZEC is lying that political parties witnessed the printing of the ballot paper, of course we were called to go to the Fidelity Printers, and on arrival we were held in a room divided by a glass and then pointed to a machine which was 20 meters away. “This cannot be said observing, we do not know what kind of a paper it is, this is not being fair if i am to comment, who knows what they are planning by hiding all this from us,” queries Timba. Timba further lamented Fidelity Printers’ independence saying the institution cannot be trusted since it is controlled and owned by President Emmerson Mnangagwa’s government. Build Zimbabwe Alliance (BZA) President, Dr Noah Manyika shared the same sentiments saying two unnamed ZEC officials denied his party representatives entry into the actual room where the ballot printing was happening. “The report that came out of the Herald is untrue and we are not happy because this is not a transparent process at all. Our representatives toured the Fidelity Printers with getting into the actual room where the printing was happening,” he said. However Zanu PF spokesperson, Simon Khaya Moyo referred all questions to ZEC saying they are best placed to respond to such allegations. “That is ZEC, why did you not find out from ZEC, I know nothing about it, ZEC is right to answer,” he said. Efforts to get a comment from ZEC officials were fruitless as repeated calls to their communication department went unanswered. 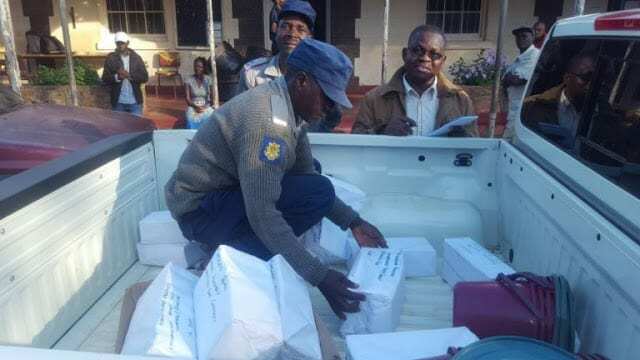 The ballot paper printing remains a contentious issue with opposition parties accusing the electoral management body and the ruling Zanu PF of conniving to temper with ballot papers.